Bill Meehan is the Lafayette Partners Lecturer in Strategic Management at the Stanford Graduate School of Business (GSB) and a senior partner emeritus of McKinsey & Company. In addition, he is Special Advisor to King Philanthropies, where he also serves as board member. At GSB, Bill has taught the course “Strategic Leadership of Nonprofit Organizations and Social Ventures” for 20 years, and he developed and teaches a pioneering course focused on the role of private investment in developing economies, “Private Equity in Frontier Markets.” In 2014, he received the Excellence in Leadership Award from GSB. At Stanford University, Bill helped launch the Stanford Institute for Innovation in Developing Economies (known as Seed), is a founding member of the advisory council of the Center on Philanthropy and Civil Society, a faculty member in both the Public Management Program and the Center for Social Innovation, and a member of the Arts Advisory Council. 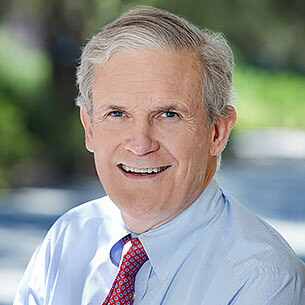 He advises or has advised a wide range of organizations within Stanford, including the Natural Capital Project (part of the Stanford Woods Institute for the Environment), as well as the university’s Board of Trustees. 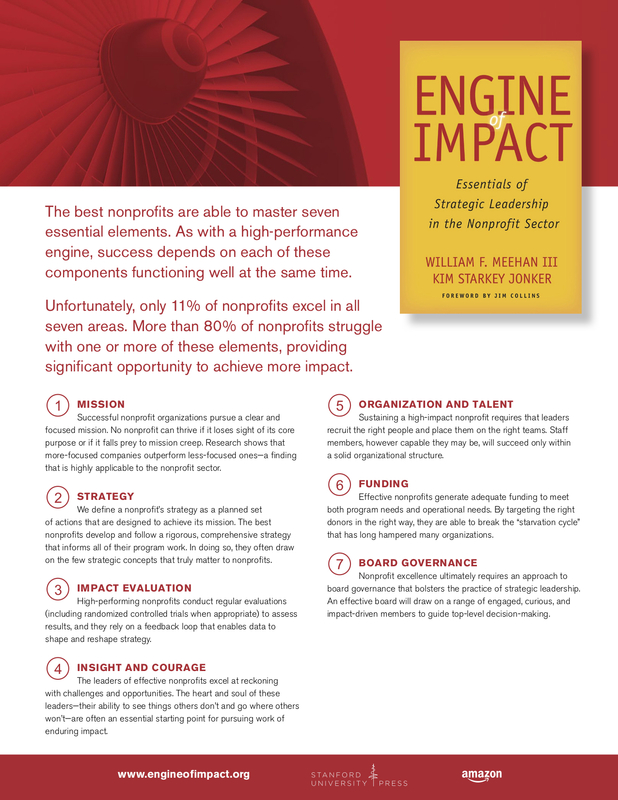 Bill is a frequent contributor to the Stanford Social Innovation Review (SSIR), including co-authoring, with Kim Starkey Jonker, “Fundamentals, Not Fads,” the popular SSIR series on the fundamentals of nonprofit management. Bill retired from McKinsey in December 2008, after a career of more than 30 years with the firm. At McKinsey, he focused on working with chief executives in technology, private equity, and other industries on topics related to management strategy, organization, and leadership. He was a member of the firm’s board—known as the Shareholders’ Council—and in that role he served as chair of the Client Committee and as chair of the McKinsey Investment Office, which oversees more than $8 billion in investments. He was also vice-chair of the Directors Review Committee, founder and leader of the Private Equity Practice, chair of the West Coast Practice, and managing director of the San Francisco Office. Over many years, Bill has served on the boards of multiple nonprofit organizations. He is a life governor of the San Francisco Symphony, chair emeritus of GuideStar, and former chair of United Way of the Bay Area. He is also a former board member of the Oregon Shakespeare Festival (OSF) and a former trustee of the OSF Endowment Fund. Currently, he serves on the board of GiveDirectly and on the North American Council of Ashoka.